Loan modification is often the only option you would have if you want to avoid a foreclosure. However, not all lenders may agree to modify mortgages. They would rather go ahead with the foreclosure than make the mistake of trusting you again with your monthly mortgage payments. So, when this is the case, how do you go about convincing your lender to modify your loan? There is one thing you need to understand here. Whether the lenders likes it or not, the government has forced them to be a part of the HAMP or the Home Affordable Modification Program which is a program designed to make monthly mortgage payments more affordable so that the financially struggling homeowners can avoid foreclosure. When it comes to going against an unwilling lender, knowledge can be your best defense. Adequate knowledge about HAMP guidelines can help you gain an upper hand while discussing loan modification with your lender. In fact, at times, you may even intimidate your lender with your HAMP knowledge. So, make efforts to understand the HAMP guidelines before you apply for your loan modification. You have borrowed your loan on or before the 1 st of January 2009. The loan is your first-lien loan, the unpaid principal balance of which does not exceed $729,750. (this limit can be higher if your property has two to four units). Your property has not been condemned or rendered uninhabitable. Your debt-to- income ratio meets the standards that show financial hardship. You submit all documents related to your income such as IRS 4506-T (duly signed), proof of income (your profit or loss statement or paystubs) and an affidavit of financial hardship. The HAMP guidelines keep getting updated every now and then. You will have to follow up with the changes and make sure you are aware of the latest guidelines so that you can touch the right points while convincing your lender. The best way to make your lender say ‘Yes’ to your loan modification is to not give him a chance to say ‘No.’ To do this, you may have to meet all the deadlines and submit all the required documentation. It is very easy for your lender to deny your application by saying that you did not send the documents on time. This might happen even if you have sent your documents, especially when your lender wants to say no. It is quite common to get irritated in situations like this; but it may not help. What you need to do instead, is take out those documents and fax them to your lender, again. You may even have to do this a couple of times if your lender is unwilling to cooperate. Never give your lender a chance to say that you did not cooperate. If you are your own negotiator you will have to take complete control of the loan modification process. It is better to lender know that you are documenting or recording each and every conversation you are having with him. Keep a voice recorder handy or download a call recording app on your phone before you call your lender about loan modification. If this is not possible keep a paper and pen ready. Repeat back whatever he tells you so that you know you have understood his instructions perfectly. Ask for the contact details of the lender such as his phone number and email address and send a copy of the recorded or the written conversation. A commercial loan modification service can probably negotiate a good deal for you in a hassle-free way. In fact a few of such loan modification counselors may even try to get in touch with you by purchasing your details via loan modification leads. However, it is always better to find out what you are getting into, before hiring one such counselor to negotiate with your lender on your behalf. As per studies, homeowners who work with MHA or HUD approved counselors have better chances of getting their loan modification applications approved. Moreover, you don’t even have to pay anything to work with these HUD-approved counsellors. An MHA counselor can analyze your situation and identify mortgage assistance options that work for you. He can help you come up with a budget that can support your monthly mortgage payments along with your other expenses. He can give you information about local resources that might help you, based on your situation. He might also help you in preparing and submitting the required documentation for loan modification on your behalf. 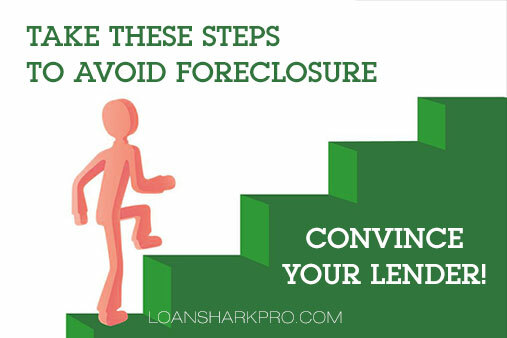 Doing a bit of homework and getting in touch with the right people at the right time can help you avoid foreclosure successfully. It might take some time; but have patience and do everything that is in your hands to get your loan modification application approved. If need be take the help of loan modification counsellor who gets in touch with you through loan modification leads. You never know what might click. The most important thing to remember here – Never give up hope. Bad Credit Mortgage Refinance Loan: Essential Tips! FHA Mortgage Loans – Learn and Apply!